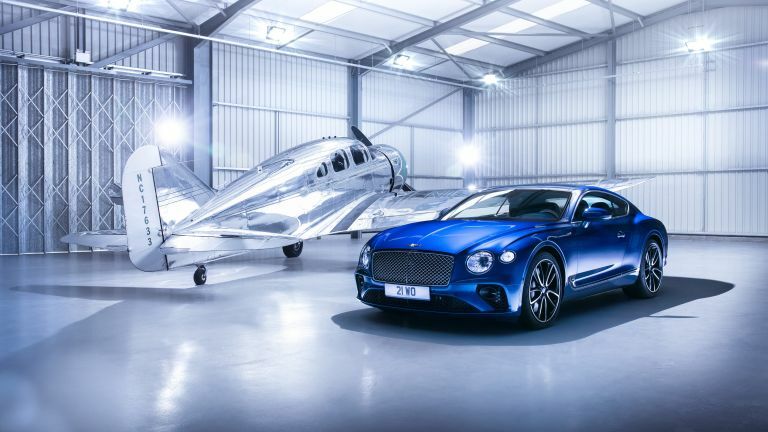 Bentley has revealed the all-new Continental GT ahead of Frankfurt Motor Show, and it is stunning. Like, incredibly good looking. Probably the most attractive car you'll see all year. And when we say all-new, we mean it, the grand tourer has a new chassis, new engine, and updated design, as well as some excitingly innovative pieces of technology. Let's start off with the engine. The new Continental GT will launch with an upgraded version of the Bentayga's 6.0-litre W12. It delivers 635PS and 900Nm of torque, yes 900! That'll power the car from 0 to 62mph in 3.7 seconds, and onto a top speed of 207mph. To help keep running costs down the W12 features cylinder-deactivation, which helps cut CO2 emissions by 16-percent, to approximately 278g/km. It should also have a range of 500 miles. Don't go thinking it's a lumbering barge, the new Continental GT also promises to be the sportiest Conti yet. The car features 'Bentley Dynamic Ride' to improve the handling with active anti-roll bars, and much less weight, to make it more agile in the corners. The new model saves 80kg thanks to the new aluminium architecture. In fact, almost all of the new car is made from aluminium, including the body, which is crafted using Super Forming. Inside, the Continental GT has been packed with exciting technology. The coolest of which is the three-sided central unit, which rotates between 12.3-inch touch screen, wooden veneer, and three analogue gauges (chronometer, air temperature and compass). The engineering behind it is extraordinary - it's a real centrepiece. The Continental GT will come with the option of specifying Naim's 21-channel 2,200W system with active bass, promising to be one of the best audio systems installed in a car. Elsewhere in the interior Bentley has given customers more chances to customise the car, with a new ‘diamond in diamond’ quilted leather, which Bentley spent eighteen months developing. The new Continental is already available to order and dealers are starting to take deposits. Prices are yet to be confirmed and the first orders are expect to roll out in the first quarter of 2018.